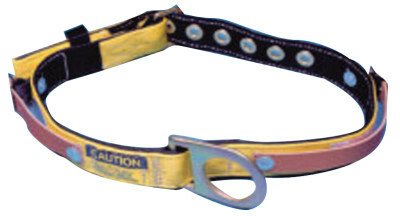 Miners Body Belt, Tongue Buckle, Fixed D-Ring, Medium | Safety First Services, Inc.
Straps for attaching battery and respirator. Not to be used for fall-arrest. Brightly colored polyester webbing improves worker safety through better visibility.